PhilBoxing.com >> News >> List of Articles >> Carlos Costa: Happy Birthday Dr. Rene Bonsubre! Happy Birthday Doc! Today is the happy day in which our dear friend PhilBoxing's contributing editor Dr. Rene Bonsubre Jr., celebrates 44 years of age. A kind, smart and humorous gentleman, "The Doc" is a common fixture in the Philippines boxing scene both as a ring doctor and as boxing writer reporting and commenting on the best fight stories enjoyed by Philboxing fans in the Philippines and around the world. He is also the author of the popular boxing opinion column "Counterpunch," which focus on current boxing issues as well as stories on historic Filipino fighters. One of his most interesting writings has been on the life and achievements of legendary Filipino champion Pancho villa. Graduated from the prestigious Cebu Institute of Medicine, Dr. Rene Bonsubre works daily as a physician in his native Cebu City, Philippines. But the ever gracious and educated "doc" has flown to the most extreme corners of the world. "The doc" has worked as the Filipino medical representative in humanitarian medical missions in the farthest and harshest corners of Africa. There he had to learn to speak the African language Swahili in order to treat patients in need of his help, patients with the most diverse spectrum of disease whom the good "doc" treated during years in that part of the world. Back in his native Philippines in 2008, the doc quickly got back to one his his passions, boxing. He made friends with the successful well-known creator and director of Philboxing fast rising in the ranks to become the Contributing Editor of Philboxing, the Filipino Boxing Portal, the largest boxing internet site in the world meassured by the number of hits received every day from around the world. 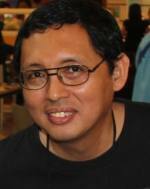 The writings of Rene Bonsubre have been reproduced in countless international media outlets and sites from Philippines to India and the United States. In addition, the doc joined the medical team of the Games and Amusement Board (GAB) becoming the most sought after ring physician, thus taking part in the great majority of boxing cards in Cebu and the Visayas, where most of Philippines boxing action is. Such is the commitment and passion of Rene Bonsubre towards boxing that today on his birthday he is traveling from Cebu City, where he lives, to Dumaguete to attend tomorrow's interesting clash of Filipino bantamweight star AJ Banal's vs Indonesia's Ruben Manakane. He will have the responsibility of being the ring doctor. But never tired of boxing, Sunday the doc will travel again from Dumaguete to Cebu to attend the Wakee Salud and Brix Flores fight card in the Municipality of Compostela featuring featherweights Adones Aguelo vs Jerry Nardo and super flyweights Marco Demencillo vs Jeffrey Cerna. As an interesting note, African boxers coming to the Philippines for a fight are so shocked to receive their medical examination performed in perfect African Swahili language being spoken by the Filipino doctor Rene Bonsubre. An avid reader, Dr. Bonsubre's main interest are medicine, boxing (of course), Filipino and international politics, world cinema as well as Filipino history, being one of his sports heroes Pancho Villa (the first Filipino world champ), while his all time inspiring figure Dr. Jose Rizal, the Filipino doctor and intellectual who traveled the world and became the heart of the Philippine nation in its struggle for independence. Philboxing, the Filipino boxing portal is happy today to celebrate the life of Dr. Rene Bonsubre as its honored to count with him as a friend and as Contributing editor. Doc, God bless you, happy birthday to you and much happiness and blessings to you and his family.